Day 6 started off slow and found us in Iten, the home of champions – over the last 30 years, the town has produced world-class long distance athletes. 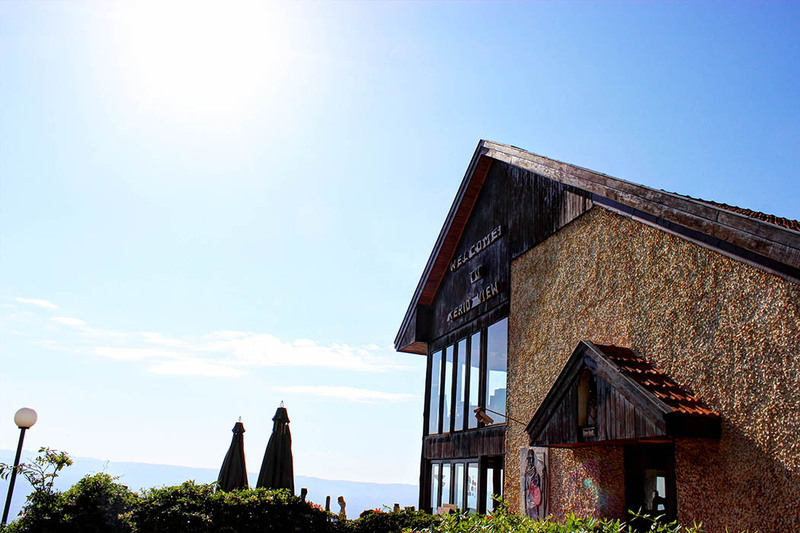 We had spent the night in Kerio View which has been one of the best hotels we’ve stayed in so far. Not only are the views and rooms amazing the staff are also really friendly and helpful. We spent most of the morning driving around trying to find the perfect location to shoot. It was only after midday that we finally managed to get into contact with our first subject of the day. 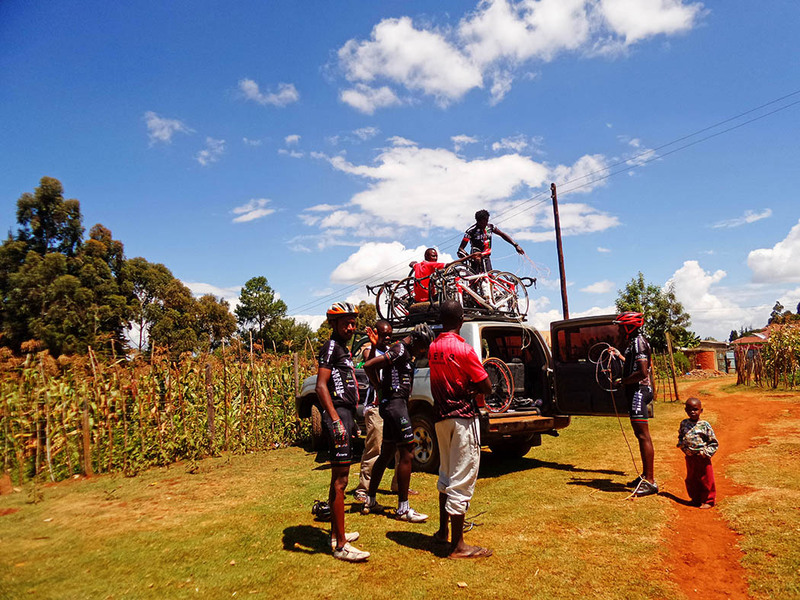 Iten is well known for its long distance runners but not so much for its cycling team. 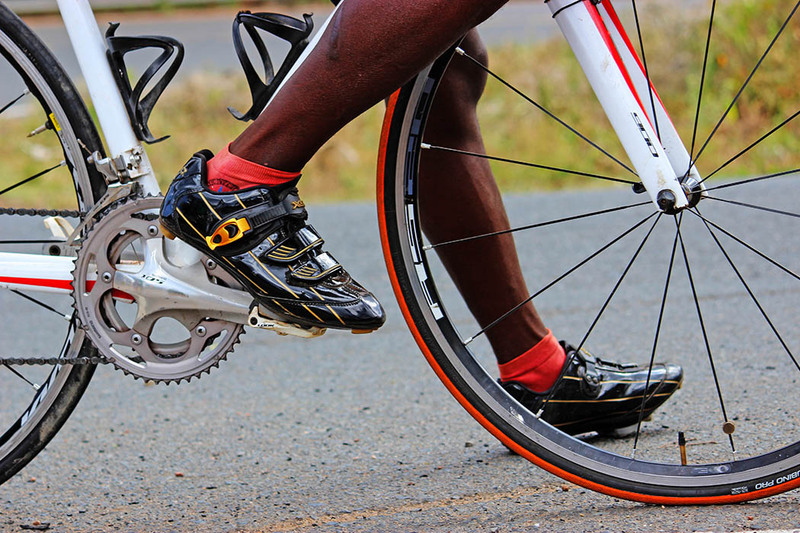 It is home to the Kenyan Riders, a team that was formed in 2007 by a Singaporean entrepreneur Nicholas Leong. 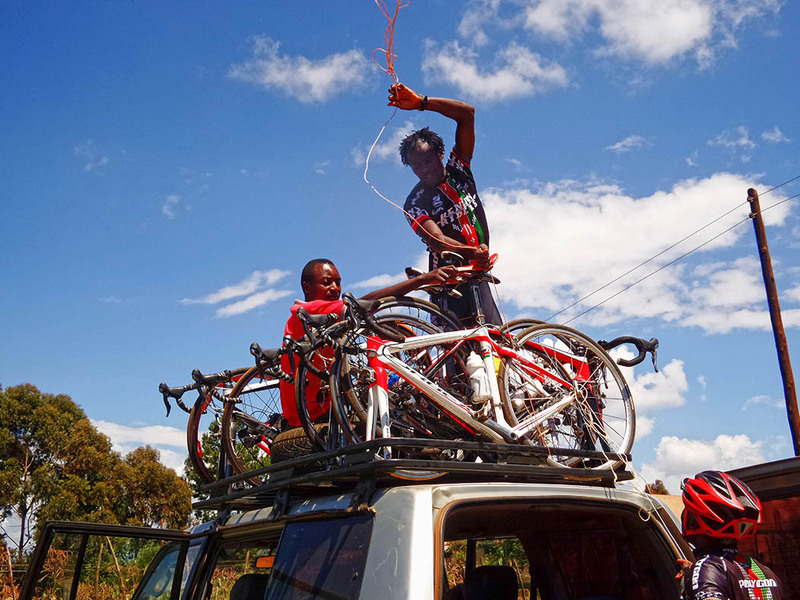 The team’s specialty is bike hill climbing and at an altitude of 2400m Iten is the perfect training location. We drove up to their camp and asked to photograph them. They were a bit hesitant as they had just finished training. One of them quipped that he did not even want to see his bicycle. After convincing them we would drive them to the shooting location, they were more than happy to change back into their uniforms and join us. 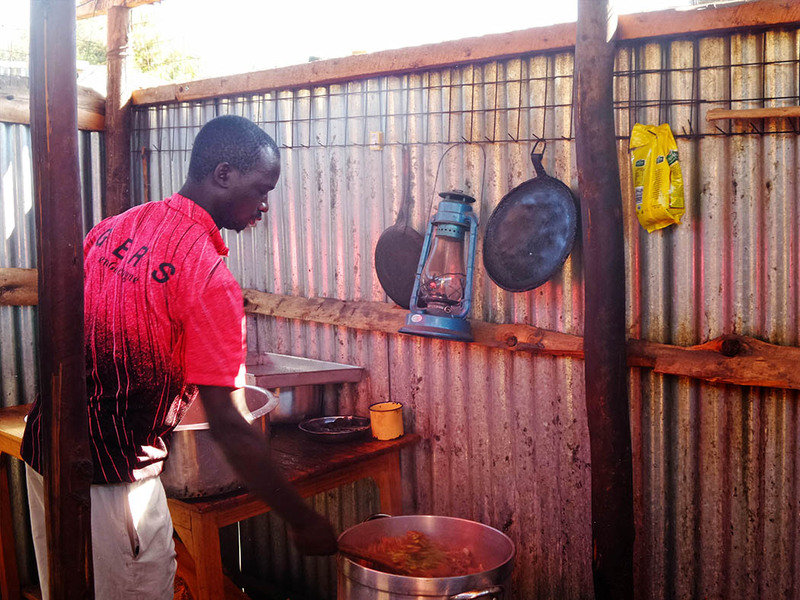 Masinde is the team’s cook. When we passed by in the morning we found him preparing a hearty meal of rice and goat stew so that the team would find their lunch ready when they got back from their training session. 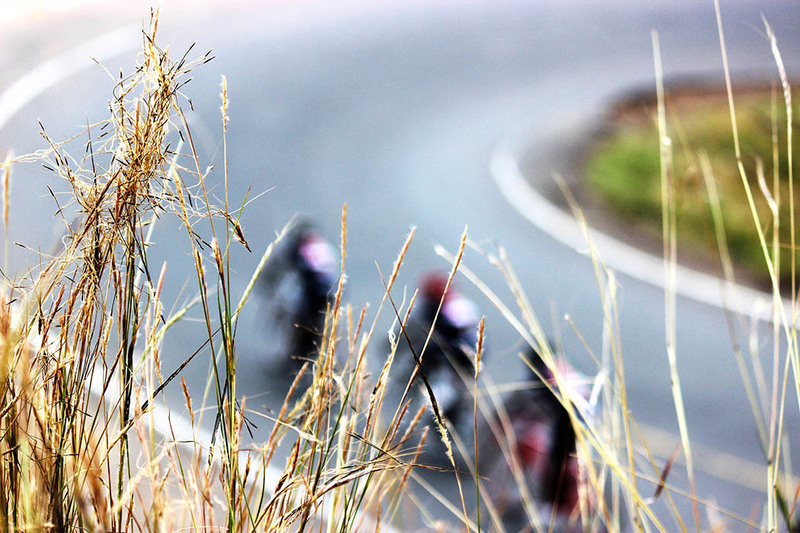 The riders are a jovial lot and throughout the drive they kept us enthralled with tales about the team. They are like a band of brothers, constantly poking fun at each other. 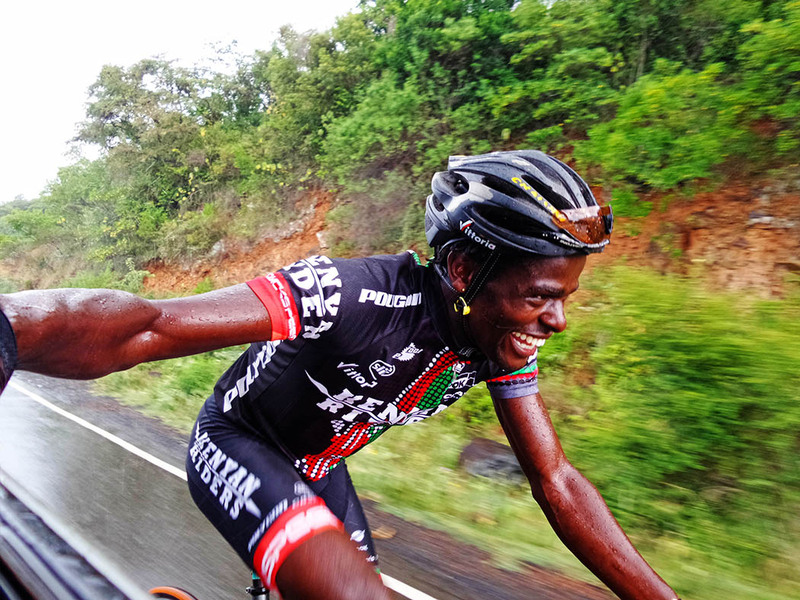 They are also exceptional athletes, having just cycled 150km for their training session they gladly rode up and down a hilly section of the road so that Jeri (our photographer), could get the perfect shot. Soon we were done and off to the next location. Some guys in the team chose to hitch a ride. Tomorrow in the afternoon we fly to Lodwar. Hopefully we won’t miss the flight. 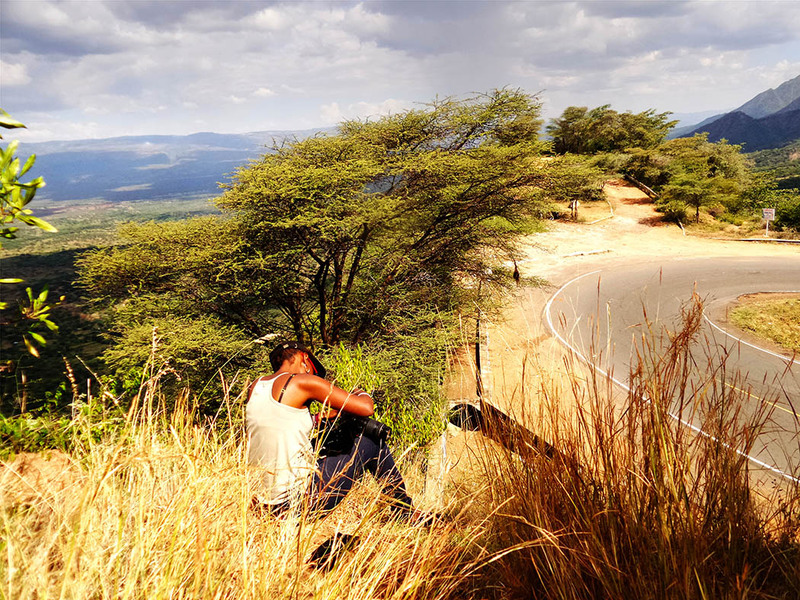 Unexpected Kenya continues, follow the hashtag #UnexpectedKenya on twitter for regular updates. Wonderful images !!! 🙂 . Love the one with the cows…reminds me of home..
That photo at the end with them hitching the ride on the blue truck and the cows in the roadway is fantastic! 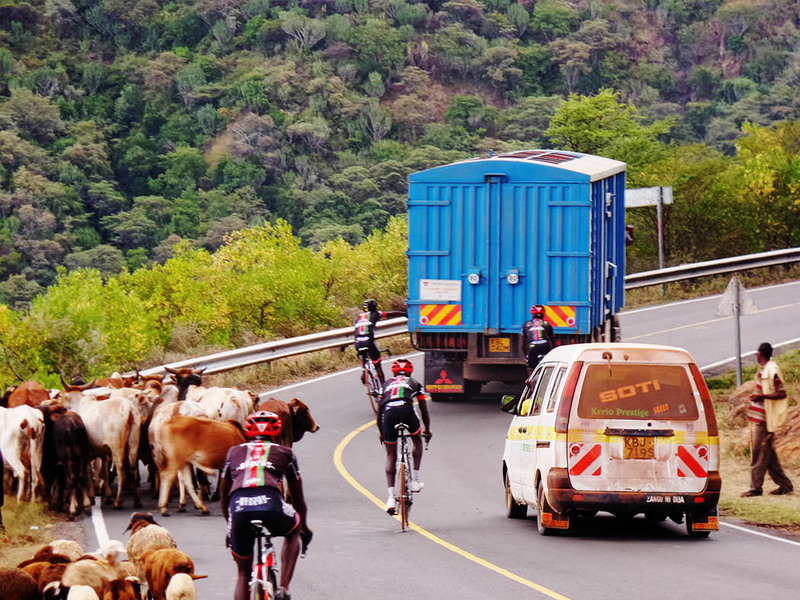 I hope that they usually get to train on less crowded roads.